According to the reigning ideology in climate science, most of the slight warming of the earth over the past century is due to anthropogenic (man-made) emissions of greenhouse gases, and unless drastic steps are taken to curb these emissions the present century will see worldwide catastrophes – increased droughts, floods, storms, hurricanes, agricultural disasters, and disease. This alarmist message is constantly repeated by mainstream scientific publications, environmentalist organizations, and the world media. The UK’s chief scientist Sir David King has said that global warming is so serious that Antarctica is likely to be the world’s only habitable continent by the end of this century! Although it is frequently claimed that the science behind global warming is ‘settled’ and that ‘consensus’ prevails, this is far from the truth. The earth has been alternately warming and cooling for billions of years, and many scientists argue that present climate change is in no way unusual and could be caused mainly by natural processes. It is true that the late 20th century was warmer than the earth has been for some 400 years, but 400 years ago a large part of the earth was in the grip of the Little Ice Age – from which we are still emerging. Many researchers believe that about a thousand years ago, during the Medieval Warm Period, much of the earth was substantially warmer than today. The standard view, as championed by the UN’s Intergovernmental Panel on Climate Change (IPCC), is that greenhouse gases, particularly carbon dioxide (CO2), are the principal driver of climate change. Since CO2 alone cannot explain the magnitude of the temperature increase of about 0.6°C over the last century, a ‘positive water vapour feedback’ has to be invoked. However, a host of empirical observations are leading a growing number of climatologists to conclude that the sun’s role has been underestimated. The Little Ice Age, for example, coincided with a decline in solar activity, and solar influences have also been linked to the current warming. Geoscientist Ján Veizer (2005, p. 20) writes: ‘empirical observations on all time scales point to celestial phenomena as the principal driver of climate, with greenhouse gases acting only as potential amplifiers’. The current fixation on carbon dioxide emissions from fossil fuel combustion makes little sense; by far the most important greenhouse gas is water vapour, but its role is often minimized or ignored in the public discussion. Moreover, the correlation between temperature changes and CO2 increases over the past century is poor. Most of the warming took place in the first half of the last century whereas 80% of the increase in CO2 didn’t happen until after the Second World War. From 1940 up to the mid-70s, when the buildup of CO2 was accelerating, global temperatures actually fell. This gave rise to scare stories about ‘global cooling’ and the threat of an imminent new ice age, which would bring wholesale death and misery to mankind. And then, as now, humans were identified as the main culprits: the release of fine particles (carbon and sulphur aerosols) was identified as the principal cause of the cooling. The modern global warming hysteria was ignited in 1988. During a second consecutive, unusually hot summer, a NASA scientist testified before Congress that his computer models predicted an average global temperature rise of 0.45°C between 1988 and 1997 and 8°C by 2050 due to greenhouse gas buildup. Despite enormous uncertainties in his simulations, belief in a looming global warming catastrophe soon became the politically correct view. Just 12 years earlier the National Science Board had announced that we were heading for a new ice age! But fashions in science can change as abruptly as in other domains of life. The earth’s climate is an immensely complex, dynamic, nonlinear system in which small changes in initial conditions can have disproportionately large effects. Even weather forecasts for the next day or two are often unreliable. The forecasts made for the rest of this century based on biased and highly simplified computer models should be taken with a huge pinch of salt. The models embody prevailing assumptions about the dominant role of CO2 in forcing climate change and the existence of unverified mechanisms for amplifying its effects. At the same time, they essentially ignore a link between sun and climate, and are unable to handle the key role played by clouds. As more and more variables have been incorporated into the models, climate forecasts have had to be revised downwards. In the 1980s climate modellers were predicting temperature rises of 1.5 to 2.0°C by 2000 – more than five times what most scientists now believe occurred. So while atmospheric CO2 has increased substantially, the large temperature increase predicted by the IPCC models has not occurred. The IPCC’s response is to speculate on what cooling factors must be offsetting the predicted rise, rather than to reassess its assumptions. Despite over $50 billion spent on climate change research over the last 15 years, humans’ role in the modest warming over the past century remains highly controversial. Too little is known at present about the natural internal variability of the climate system and its various feedback mechanisms to say for certain what effect additional CO2 is having. Thousands of independent scientists disagree with the ‘consensus’ position that CO2 is the dominant factor, but their views rarely receive a fair hearing in high-profile science journals and the media. A recent survey found that 30% of scientists disagreed to some extent that ‘climate change is mostly the result of anthropogenic causes’, and that less than 10% ‘strongly agreed’ (Murray, 2006). It is clear that the politicising of climate science has resulted in an abandoning of good scientific practice and ethics. While dissident scientists with links to coal or oil companies are automatically dismissed as biased and untrustworthy, the financial interests of salaried green activists and government-funded greenhouse bureaucrats and researchers are ignored. Palaeoclimatologist Mike Jorgensen (2004) says that although ‘green’ groups such as the Sierra Club, Friends of the Earth, and WWF, like to present themselves as non-profit and non-partisan, they are really neither. The media tend to uncritically publicize the doctrine of anthropogenic global warming and make little effort to present a balanced perspective. Warming incidents, such as collapsing ice shelves and record high temperatures, grab the headlines, while cooling incidents, such as thickening of ice caps, snow in Saudi Arabia, and record low temperatures, are ignored. UK Foreign Secretary Margaret Beckett recently compared climate sceptics to advocates of Islamic terror, and said that both should be denied access to the media! In an article entitled ‘Got a problem? Blame global warming!’, John Brignell presents a list of over 300 phenomena that have been blamed on human-caused warming. Examples include: allergies, bananas destroyed, bananas grow, blackbirds stop singing, diarrhoea, extinction of pygmy possums, five million illnesses, glacial retreat, glacial growth, Maple syrup shortage, outdoor hockey threatened, rainfall increase, rainfall reduction, societal collapse, sour grapes, spiders invade Scotland, tree beetle attacks, wolves eat more moose, and yellow fever. The Stern Report (October 2006), which breaks new ground in climate sensationalism, adds many new items to the list, such as increased gender inequalities, with men migrating and women subject to impoverishment, forced marriage, labour exploitation, trafficking, and natural disasters! All scientists accept that there has been some degree of overall planetary warming during the past hundred years, though the exact value is disputed. A wide range of factors are at work and, contrary to the prevailing fad, humans are arguably a long way from being the most significant. The climate is in constant flux. Warming and cooling cycles have succeeded one another throughout the earth’s history, with a periodicity ranging from tens of millions of years to several years. There is evidence that virtually the entire earth may have been covered with ice sheets twice in the Precambrian, 700 million and 2.4 billion years ago. During the Phanerozoic (the period since the beginning of the Cambrian, 545 million years ago), the earth has passed through eight great climate cycles. For more than 90% of the earth’s history, conditions were much warmer than today. Two million years ago forests extended nearly to the north pole. And as recently as 125,000 years ago, temperatures were so high that hippopotami and other animals now found only in Africa made their homes in northern Europe. The past million years have seen 8 to 10 ice ages, each about 100,000 years long, with short, warm interglacial periods of about 10,000 years. The difference in globally averaged temperatures between glacials and interglacials is about 5°C. The present interglacial warm period (known as the Holocene), which began about 10,000 years ago, has experienced a series of major temperature swings. A long-lasting Holocene Warming took place 3500 to 6000 years ago, when the average temperature was 2°C warmer than today. During the Medieval Warm Period (or Medieval Climatic Optimum), from about 900 to 1300 AD, the earth was up to 3°C warmer than today. This made it possible for the Vikings to colonize Greenland and Newfoundland. The forest boundary in Canada reached 130 km further north than today, and in Poland, England, and Scotland vineyards flourished. The warmer climate brought a flowering of prosperity, knowledge, and art to Europe. Agricultural yields increased, marshes and swamps dried up, removing breeding grounds for mosquitoes that spread malaria, and wetlands were turned into productive farmland. In general, civilization has tended to flourish during warm periods, while cold periods have brought more drought, famine, disease, and wars. The Medieval Warm Period was followed by the Little Ice Age, which lasted intermittently from about 1350 to 1850. The Thames river in England froze regularly in winter with ice thick enough for fairs to be held on it, and people were able to travel from Poland to Sweden across the Baltic Sea on sleighs, staying overnight in taverns built on the ice. We are still emerging from the Little Ice Age, and this is an important factor behind the moderate rise in temperature since the late 19th century. Based on a detailed analysis of 240 proxy climate studies from all parts of the world, Soon & Baliunas (2003) concluded that the Medieval Warm Period and Little Ice Age were probably global in extent. Neither is explained by changes in atmospheric concentrations of CO2 and other greenhouse gases, since these remained relatively constant. Many researchers contend that a decline in solar output was a primary factor in triggering and sustaining the Little Ice Age, and that an increase in solar output may be responsible for much of the warming in the 20th century (Balling, 2005). Temperature records based on thermometer readings began only in the mid-19th century. Temperatures in earlier times have to be inferred from proxy data (e.g. tree rings and isotope ratios) and are therefore more uncertain. The instrumental record shows that the globally averaged surface temperature remained nearly level from 1856 to about 1910, rose until 1945, declined slightly until about 1975, and then increased again. The overall increase during the 20th century was 0.45°C according to AccuWeather, 0.5°C according to the US National Climate Data Center, and 0.6°C according to the IPCC. The highest warming rates occurred in land areas poleward of 30°N, and minimum (night) temperatures have increased much more than maximum (day) temperatures. But some parts of the globe (e.g. northeastern Canada and western Greenland) have cooled considerably since 1960. The main natural driver of the climate system is the intensity of solar radiation reaching the earth, determined by changes in the sun and shifts in the earth’s orbit and axial tilt. About a third of the radiation entering the atmosphere is either reflected or absorbed by clouds and airborne particles (aerosols). Low-level clouds reflect solar radiation and have a cooling effect, while some high-level clouds have a warming effect. Sulfate-based aerosols tend to cool the earth whereas black carbon (soot) tends to warm it. Two thirds of the incoming solar energy reaches the earth’s surface and is either absorbed or reflected depending on the surface brightness (albedo); snow and ice reflect much of the energy, while bare soil absorbs it. Some of the energy reaching the surface is redistributed by atmospheric and oceanic circulations. Greenhouse gases, such as water vapour, CO2, methane, nitrous oxide, ozone, and chlorofluorocarbons, absorb the energy reradiated by the surface, warming the atmosphere. Volcanic eruptions emit both greenhouse gases and aerosols. Science still lacks a detailed, integrated understanding of how solar energy and the various components of the climate system interact. The Intergovernmental Panel on Climate Change (IPCC) advises the UN on climate issues. It published assessment reports in 1990, 1996, and 2001, and its fourth report will appear in early 2007. Each report includes a ‘summary for policymakers’, which is an openly political document heavily influenced by government bureaucrats. The IPCC is not an impartial body, as most of the lead authors are enthusiastic proponents of anthropogenic global warming. Since the mid-1990s it has come under increasing criticism for its biased and pseudoscientific practices, and several scientists have resigned (New Zealand Climate Science Coalition, 2006b). For instance, Chris Landsea, a world authority on hurricanes, resigned in January 2005, saying that the IPCC process was ‘motivated by pre-conceived agendas’ and ‘scientifically unsound’. In support of its claim that the 1990s were the warmest decade and 1998 the warmest year for a millennium, the 2001 IPCC report quoted the work of Mann, Bradley & Hughes (1998, 1999; ‘MBH98/99’) and reproduced their now infamous ‘hockey stick’ graph (see fig. 3.1). The graph shows fairly constant temperatures for the last millennium followed by a dramatic rise in the 20th century (the blade of the hockey stick). The accepted view before that, as embodied in a graph in the IPCC’s 1990 report (fig. 3.2), was that the world had undergone a Medieval Warm Period that was warmer than today. Fig. 3.2 Graph from the IPCC’s 1990 report. In the 1990 graph, the current warming falls within the range of natural historical variation, whereas the hockey stick graph makes it look anomalous and alarming. The existence of the Medieval Warm Period and the Little Ice Age, and further back the Dark Ages Cold Period and the Roman Warm Period, had been accepted in textbooks for decades. But such natural climate fluctuations are an embarrassment to the hypothesis that mankind is mainly to blame for the present warming. Indeed, one global warming zealot, in an unguarded moment, stated: ‘We have to get rid of the Medieval Warm Period’ (see Deming, 1995, p. 249). That is exactly what Mann’s team did. 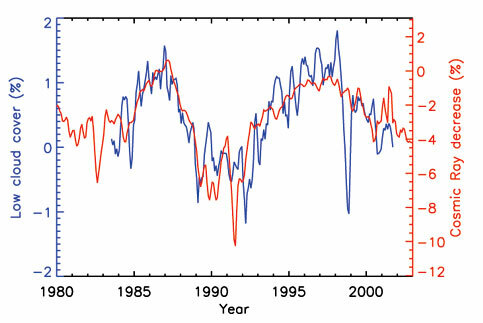 Statistical experts Ross McKitrick and Steve McIntyre published a critique of the hockey stick in the peer-reviewed journal Energy and Environment in 2003 and further critiques in 2005 (www.climateaudit.org; McKitrick, 2005). They criticized MBH98/99 for inappropriate data selection and incorrect use of statistical methods. They had great difficulty getting the necessary information from Michael Mann, who put many obstacles in their path. He refused to release his computer code, saying that ‘giving them the algorithm would be giving in to the intimidation tactics that these people are engaged in’ and that ‘if we allowed that sort of thing to stop us from progressing in science, that would be a very frightening world’! The MBH temperature reconstruction was based mainly on bristlecone-pine datasets, even though the IPCC had recommended against reliance on bristlecone pines because 20th century CO2 fertilization accelerated annual growth, creating a false impression of exceptional recent warming. Moreover, their statistical model had given these datasets 390 times more prominence than the other datasets they had used. McKitrick and McIntyre found that MBH’s statistical methods nearly always produce a hockey stick shaped graph, even when random numbers are used. They also discovered that MBH had excluded from their calculations a dataset covering the later medieval warm period, which had been stored in a computer file marked ‘Censored-Data’. After correcting these various errors, they found that the 15th century contained an extensive warm period with a higher temperature than the late 20th century. Prior to McIntyre and McKitrick’s work, no palaeoclimatologist had attempted to replicate MBH98/99. In fact, many climate scientists derided the very idea! The fact that the flawed MBH98 paper passed peer review for Nature magazine speaks volumes. So does the fact that Nature, along with other leading peer-reviewed scientific journals, refused to publish McIntyre and McKitrick’s 2003 article exposing the flawed graph. Only after prolonged pressure did the editors of Nature publish a correction by MBH, who falsely claimed that the flaws made no difference to their results. Independent review is also hindered by the unscientific practice of refusing to disclose datasets and calculations. The US House of Representatives’ science committee asked the National Academy of Sciences (NAS) to evaluate the criticisms of Mann’s work and assess the larger issue of climate reconstructions. In its report (July 2006), it accepted virtually all the criticisms of the hockey stick, and said that Mann’s data and methodology did not permit him to claim with confidence that 1998 was the warmest year of the millennium or the 1990s the warmest decade. But it still stated that his reconstruction was ‘plausible’ as studies by several other scientists had also concluded that the 20th century was warmer than the Medieval Warm Period. We’ve attempted to replicate these other studies as well, only to run into one obstacle after another in identifying data and methods – similar to the problems that led to the original congressional questions about the Mann study. In one case, the authors even refused to identify the sites from which data was collected for their study! Despite these pointless obstacles, we know enough about the ‘other studies’ to be confident that none of them meets the methodological standards now recommended by the panel. In fact, somewhat remarkably, two of the most recent studies even continue to use Mann’s discredited principal components series [bristlecone pines]. The hockey stick graph was featured six times in the IPCC’s 2001 report, and has been a key weapon in the campaign to convince the public and politicians of the dangers of human-caused warming. Although the graph has been convincingly discredited, the IPCC has not issued an apology or correction and continues to use it in its publications. The Canadian government circulated a copy of the graph to every household in the country, but it too has not circulated any correction. The other main graph that the IPCC presented in its 2001 report to support its claims about anthropogenic global warming is shown in fig. 3.3. It is based on an analysis of world temperatures by main author Phil Jones, from the Climatic Research Unit (CRU) of the University of East Anglia in the UK. Some independent scientists asked Jones for his basic data, but he replied that he had invested 25 years in his work and wasn’t going to turn it over to people who would try to find something wrong with it! The graph has come under strong criticism, because some of the data are of dubious quality, especially those from third world countries, and because most of them come from land-based stations that are mostly located in or close to urban centres and are therefore distorted by purely local warmth from urban heat islands. The ‘urban heat island effect’ refers to the fact that the temperature of large cities with lots of asphalt and concrete can be as much as 5°C above normal. Independent scientists have found that there is no systematic compensation for urban warming in the Jones dataset. Warwick Hughes says that there is ‘no doubt that the CRU temperature graphs are contaminated with pervasive and substantial urban heat which has nothing to do with greenhouse gases’. De Freitas (2003, p. 8) states: ‘Where warming occurs, it results from a rise in the minimum temperature, rather than the maximum, and in cold climates, in winter, and at night – which is what one would expect from so-called “urbanisation” effects.’ Even the IPCC (2001) admits that the urban heat island effect could account for up to 0.12°C of the temperature rise during the 20th century, or one fifth of the total observed. A major problem in determining the average near-surface air temperature record for different periods is that substantial parts of the globe lack the necessary measurements. Balling (2005) identifies various other problems which introduce warming biases into the temperature record – e.g. the switch from traditional mercury-in-glass thermometers to electronic thermistors, the deteriorating reflectivity of the white-painted shelters in which equipment is housed, and time-of-observation biases. Furthermore, nearly all temperature-measuring stations are land-based, whereas 71% of the earth (and 90% of the southern hemisphere) is covered with water. Far too few temperature-sensing buoys are deployed at sea to give an even remotely accurate assessment of the atmospheric temperature trends in these vast areas. Balling concludes that while the upward temperature trend over the past century is probably real, ‘the general error is most likely in the positive direction, with a maximum possible (though unlikely) value of 0.3°C’ (p. 59). Why ... was a full page of the brief ‘Summary for Policymakers’ devoted to surface temperature charts that depict considerable warming with another half-page of supporting text, while changes in the full bulk temperature of the atmosphere – far more important for the physics of the greenhouse effect – garnered but seven sentences? If a temperature sequence comparatively free from these influences (1979-1997) is chosen, there is no detectable warming in the lower atmosphere for six of the seven records, and for the seventh, no warming between 1988 and 1997, whereas warming still prevails on the surface over these periods. The supposed enhanced greenhouse effect is thus currently undetectable in the lower atmosphere, where it is supposed to be the most prominent, so the warming on the surface must have some other cause. Greenhouse gases absorb some of the solar radiation reflected from the earth’s surface, thereby warming the atmosphere. Without this ‘greenhouse effect’, average near-surface air temperature would be -18°C, rather than +15°C, as it is now; in other words, there would be permanent ice at the equator. CO2 is generally reckoned to account for 4.2 to 8.4% of the greenhouse effect, whereas water accounts for about 90% – some 70% is due to water vapour and 20% to clouds (droplets) (Milloy, 2006a). Over 99.9% of the earth’s atmosphere consists of nitrogen, oxygen, and argon. Whereas CO2 makes up about 95% of the atmospheres of Venus and Mars, it currently accounts for only about 0.038% of the earth’s atmosphere (i.e. 380 parts per million), compared with a pre-industrial revolution figure of about 0.028%. Water in its various forms ranges from 0 to 4% of the atmosphere and its properties vary according to what form it is in and the altitude at which it is found. Humans are responsible for about 3.4% of the CO2 emitted to the atmosphere annually, mostly from the burning of coal, oil, and natural gas, and the production of cement; the rest comes from natural sources such as volcanoes, the outgassing of the oceans, and the biosphere. Humans are probably responsible for about 2.5% of the total greenhouse effect (Milloy, 2006a). CO2 concentration in the atmosphere is near saturation in terms of its ability to trap more heat. This means the effects of adding more CO2 into the atmosphere are likely to be insignificant. For significant global warming to occur, increased concentrations of CO2 must set in motion positive (or destabilising) feedback processes. Such processes would cause temperatures to rise by some other mechanism (such as increased absorption of solar energy) or cause increases in the concentration of other greenhouse gases, the most important of which is, by far, water vapour. Yet to date, scientific evidence suggests that negative (or stabilising) feedback processes prevail. This means that it is unlikely that higher concentrations of CO2 in the atmosphere will greatly influence the climate. Most standard computer simulations assume that CO2 concentrations are increasing at 1% per year – compared to a measured rate of about 0.45%. This makes the doubling time for CO2 just under 70 years, compared to the empirical estimate of 120 years. Even when other greenhouse gases are factored in, the rate of increase is only 0.6%. The figure of 1% is used for simplicity and convenience, though the IPCC, which uses a figure of 0.85%, admits that this is ‘arbitrary’ and ‘on the high side’ (Lomborg, 2001, p. 278-80). The models therefore run far too fast. They also invoke positive feedback loops involving increased atmospheric water vapour and neglect negative feedback loops such as the generation of additional low cloud cover. The IPCC (2001) predicts that a doubling of CO2 would lead to a temperature increase of 1.5 to 4.5°C. Other researchers believe that a more realistic figure is less than 1°C. For instance, Soon et al. (2001, p. 5) say that analysis of the climatic response to volcanic eruptions suggests that a doubling of CO2 would lead to a temperature increase of only 0.3°C to 0.5°C. Posmentier & Soon (2005) point out that there are currently no reliable predictions for the response of clouds to increased atmospheric CO2, and say that a 4% increase in the area of stratus clouds over the globe could compensate for the warming produced by a doubled atmospheric CO2 concentration. Our grasp of the carbon cycle and the conversion processes that CO2 engages in is highly tenuous. A key factor is the residence time of carbon in the atmosphere, but this is uncertain. It is commonly said to be over 100 years, but Rudesill (2006a) argues that this is more than 10 times too high. It is instructive that the models used in the IPCC’s 1990 report and into the 1990s predicted far too much warming from CO2 and other greenhouse gases. The temperature predicted for 2000 was almost half a degree higher than observed. The IPCC assumes that sulphate aerosols and the depletion of atmospheric ozone are partially counteracting the warming caused by increases in greenhouse gases. It has also been argued that the oceans hold the ‘missing’ global atmospheric warming predicted by climate models. But the strong oscillations in ocean temperature do not match variations in atmospheric CO2 content. Stevenson (2000) argues that ocean warming occurs in 100-year cycles, independent of human influences. It seems very likely that climate models are overestimating the warming caused by increasing CO2 concentrations and underestimating the associated compensatory feedbacks. There is no linear relationship between changes in atmospheric CO2 levels and the global mean temperature. At the end of the 19th century the amount of CO2 discharged into the atmosphere by world industry was 13 times smaller than now, but the climate at that time had warmed up, as a result of natural causes, emerging from the 500-year-long Little Ice Age. During the 20th century, atmospheric concentrations of CO2 and other greenhouse gases rose steadily, but average surface temperature rose over much of the globe between 1910 and 1940, fell between 1940 and 1975 despite a more than threefold increase in CO2 emissions, and has been rising since. The idea of CO2 increases causing temperature increases was abandoned in the 1940s precisely because global temperatures had not even remotely matched the 1°C predicted by the theory. Overpeck et al. (1997) found that the Arctic warmed by 1.5°C between 1840 and 1955, during which time the air’s CO2 concentration rose by 28 ppm, whereas between 1955 and 1990 the arctic air temperature declined by 0.4°C even though the CO2 concentration rose by 41 ppm. Polyakov et al. (2003) found that from 1875 to 2000 the surface air temperature of the region poleward of 62°N hardly rose at all, but then suddenly climbed 1.7°C in just 20 years, even though the atmosphere’s CO2 concentration rose by a mere 8 ppm. Over the next six decades the CO2 concentration rose by about 55 ppm, but the region in question experienced no net warming and may have cooled slightly. This clearly indicates that CO2 is not the main driver of climate change. The atmospheric concentration of CO2 reached a low of about 180 ppm during several periods of glaciation over past 400,000 years, but rose to 300 ppm or more during interglacials. According to Fischer et al. (1999), ice core records show that at the end of each of the last three major ice ages, atmospheric temperatures rose 400 to 1000 years before CO2 levels increased. During the penultimate warm period, there was also a 15,000-year time interval when distinct cooling took place without any change in atmospheric CO2, and when the air’s CO2 content gradually dropped over the next 20,000 years, air temperatures either rose or remained fairly constant. We also know that, today, the global mean atmospheric concentration of CO2 lags behind changes in tropical sea surface (and hence atmospheric) temperature by six to eight months. This is because as the ocean warms, it is unable to hold as much CO2 in solution and releases it into the atmosphere. In more ancient times, CO2 concentration in the air is generally thought to have been far higher than today, without having a dramatic impact on temperature. In the Ordovician (440 million years ago), the concentration was 18 times higher, but glaciers existed on the continents of both hemispheres. In the Eocene (50 million years ago) it was six times larger than today but the temperature was only 1.5°C higher. There have been geological times of global cooling with rising CO2, e.g. during the mid-Miocene (about 12.5 to 14 million years ago), and times of global warming with low levels of atmospheric CO2, e.g. during the Miocene Climate Optimum (about 14.5 to 17 million years ago). The impacts of enhanced plant growth and related soil changes may even provide a strong quenching effect on warming from carbon dioxide. The vegetation feedbacks as a result of carbon dioxide fertilization have yet to be correctly incorporated in the climate simulations. The IPCC’s second report, which gave the impression that the science was settled and humans were known to be significantly interfering with an otherwise stable climate, led to the adoption of the Kyoto Protocol in 1997, which calls for substantial reductions in greenhouse gas emissions by industrialized nations, especially CO2 from fuel burning. The US and Australia have not ratified the Protocol, nor does it cover China, India, or developing countries. Most of the signatories are finding it difficult if not impossible to meet their targets by the deadline of 2012. Kyoto is a flop. The IPCC’s own projections indicate that, if fully implemented, the Protocol will make the world only 0.15°C cooler in 2100 than it would otherwise be; in other words, the temperature in 2100 will be what it would otherwise have been six years earlier. And sea level will rise 2.5 cm less by 2100 than it would otherwise do. Yet implementing Kyoto is estimated to cost 150 billion dollars a year! In other words, the agreement imposes crippling costs for no discernible environmental benefits. Bjørn Lomborg, a statistician, environmentalist, and former Greenpeace member, accepts that man-made greenhouse gases contribute to global warming, but argues that since the Kyoto Protocol will have negligible effects on climate change, the exorbitant cost of implementing it represents a colossal waste of resources. The money could be much better spent in providing health, education, clean water, and sanitation to the third world; UNICEF estimates that this could be done for just $70-80 billion a year. In his book The Skeptical Environmentalist (2001), Lomborg exposes the fear-mongering tactics indulged in by many ‘environmentalists’. He concludes that ‘global warming is not anywhere near the most important problem facing the world’ (p. 323), and that ‘it will be far more expensive to cut CO2 emissions radically than to pay the costs of adaptation to increased temperatures’ (p. 318). In response he has been subjected to vilification; he has been called the ‘Antichrist’ and the IPCC chairman compared him to Adolf Hitler. The Stern Review on the Economics of Climate Change (October 2006) takes climate scaremongering to dizzying new heights. It was compiled by a team headed by former World Bank chief economist Nicholas Stern at the request of Britain’s Blair government. It argues that ‘if we don’t act, the overall costs and risk of climate change will be equivalent to losing at least 5% of global GDP [gross domestic product] each year, now and forever’. In the worst-case scenario, ‘the estimates of damage could rise to 20% of GDP or more’, causing ‘major disruption to economic and social activity, on a scale similar to those associated with the great wars and the economic depression of the first half of the 20th century’. In contrast, stabilizing greenhouse gas emissions at no more than 550 parts per million (ppm) would ‘avoid the worst impacts of climate change’, and the cost would be ‘limited to around 1% of global GDP each year’. Stern’s message is that either we spend $450 billion per year now, or we’ll end up paying up to $9.6 trillion per year later. Many scientists and economists have expressed concern at the poor quality of the Stern report (CSPP, 2006). Economist Richard Tol calls it ‘alarmist and incompetent’, and points out that it selectively quotes only the most pessimistic studies on the impacts of climate change. Stern’s doomsday visions are based on the use of an artificially low discount rate to assess whether it makes sense to spend money now to reap a hypothetical payoff in many decades’ time. Stern never states what discount rate he is using, but it appears to be less than half the figure of 5 to 6% recommended by the UK Treasury. Also, the social cost of CO2 is generally put at $2.5 per ton, but Stern uses a figure of $85 per ton. Stern actually developed a whole new computer model – the forecasts made by existing models were apparently not apocalyptic enough! Stern claims that stabilizing greenhouse gas emissions at 550 ppm (CO2 equivalent) – compared to the current level of 420 ppm – would cost 1% of GDP. But this is contradicted by the IPCC. In its upcoming report it says that the cost would be up to 5% of GDP. Incredibly, nowhere does Stern say what the effect of such measures would be on temperature. It turns out that, according to conventional climate science, they would reduce the rise in temperature from 2.53°C to just 2.42°C. ‘One can understand the reluctance of the Stern review to advertise such a puny effect,’ says Lomborg (CSPP, 2006, p. 19). This means that on top of the 1 to 5% of GDP spent on curbing emissions, it would still be necessary to spend money on adapting to higher temperatures. Moreover, it is naive to think that all the countries of the world, including China and India, would flawlessly implement Stern’s multitrillion dollar, century-long policy proposal. Nor is there any good reason for them to do so given that orthodox climate science has probably vastly overrated the role of greenhouse gases and vastly underrated the role of the sun. The dominant factor driving the earth’s climate system is the energy reaching the planet from the sun. This is determined partly by the amount of energy emitted by the sun and partly by changes in the earth’s orbital geometry: the Milankovitch theory takes account of the 90-100,000-year eccentricity cycle, the 22,000-year climatic-precession cycle, and a 41,000-year axial-tilt cycle, which are believed to play a key role in triggering the onset and termination of ice ages. There is still much to be learned about the impact on climate of the magnetic sunspot cycle (divided into two half-cycles of about 11 years each), which is modulated by the approx. 90-year Gleissberg cycle and 210-year DeVries-Suess cycle. The most important solar cycles are related to the sun’s irregular oscillation about the centre of mass of the solar system (Landscheidt, 1998). There is abundant evidence that throughout the Holocene the earth has alternately warmed and cooled at 1500 ± 500-year intervals. Braun et al. suggested that these climate shifts might be linked to a combination of the DeVries-Suess and Gleissberg cycles (Idso et al., 2006). In a study of the 1500-year climatic cycle on the basis of solar-related cosmogenic nuclide variations, Bond et al. (2001) found that ‘over the last 12,000 years virtually every centennial time-scale increase in drift ice documented in our North Atlantic records was tied to a solar minimum’, and concluded that the climate effects were probably felt worldwide. Other researchers have found evidence of these global, solar-induced climate oscillations going back over a million years (Idso, 2001). The Medieval Warm Period and Little Ice Age appear to be the latest examples, with the global warming of the past century being essentially a solar-mediated recovery from the Little Ice Age. The mini ice age from 1420 to 1570 coincided with a prolonged lull in the sun’s activity, and the Maunder Minimum from 1645 to 1715 was an exceptionally cool period when the sun had very few spots. Observations of the surface magnetism of solar-type stars show that their irradiance varies by up to 0.6%. Our own sun’s total radiation output currently varies by about 0.1%, which is generally considered too small to have a significant impact on climate. However, the solar wind (a continuous flow of energetic charged particles released by the sun) and possible terrestrial amplification mechanisms also need to be taken into account. A growing number of scientists are becoming convinced that the sun/climate link is much stronger than so far recognized by the IPCC. There are various pathways by which solar activity could influence the climate. One suggestion is that solar-induced changes high in the stratosphere are propagated downward through the atmosphere and trigger an amplified response in deep ocean circulations. Another theory highlights the strong correlation between solar activity, cosmic rays, and low-altitude cloud cover (Svensmark & Friis-Christensen, 1997; Marsh & Svensmark, 2000; Usoskin et al., 2004; Shaviv, 2005). It proposes that cosmic rays (high-speed atomic particles originating in exploded stars) ionize air molecules, transforming them into condensation nuclei for cloud formation. Greater sunspot activity results in a stronger solar wind and more powerful magnetic fields, which divert more galactic cosmic rays away from the earth, leading to less low-level cloud formation and higher surface temperatures. The idea that cosmic rays seed clouds has met with strong resistance from mainstream climate experts, who prefer to fixate on CO2. The IPCC (2001) concluded: ‘At present there is insufficient evidence to confirm that cloud cover responds to solar variability.’ However, the causal mechanism linking cosmic rays and cloud formation has recently received support from an experiment in Denmark called SKY (Danish for ‘cloud’), which was carried out in a large reaction chamber containing a mixture of gases to simulate the atmosphere, and using ultraviolet lamps to mimic the action of the sun’s rays. The global cloud coverage diminished from its peak at the end of 1986 to its bottom in the middle of 1990 by more than 3%. According to observations by V. Ramanathan, B.R. Barkstrom, and E.F. Harrison , clouds have a net cooling effect of -17 W/m². Svensmark and Friis-Christensen  conclude from the diminution of this cooling effect between 1986 and 1990 that the solar irradiance has increased by about 1.5 W/m² within these three and a half years. A change of this order is quite remarkable, since the total radiative forcing by carbon dioxide accumulated since 1750 has been estimated by the IPCC not to go beyond 1.5 W/m². This means that cosmic rays, strongly modulated by solar activity, achieve an effect within three and a half years for which the accumulation of carbon dioxide in the atmosphere needs centuries. This shows clearly to what extent the greenhouse effect has been overestimated in comparison with the solar contribution to climate change, which turns out to be the most important factor. Veizer says that the temperature trend over the past century correlates well with solar properties such as cosmic-ray flux (CRF) and total solar irradiance (TSI), except perhaps for the last two decades of the 20th century. Some researchers believe that solar activity is responsible for no more than 30% of warming since 1970 (Stuart, 2006). This is often interpreted as a sign that greenhouse gases, specifically CO2, have taken over as the main climate driver. However, Veizer points out that climate models generally do not incorporate the active carbon cycle and its dynamics; CO2 is inputted in the form of energy (~4 W/m² for a doubling of CO2). He also argues that, while the balloon and satellite data do not show any clear temperature trend in recent decades, their interannual temperature oscillations correlate clearly with the solar irradiance and cosmic-ray flux, and he concludes that solar phenomena were probably the primary climate driver in both the distant and most recent past. Landscheidt (1998, 1999, 2000a,b, 2001, 2003), too, argues that solar forcing has been just as strong in recent decades as in the first half of the last century. He shows that El Niño, the North Atlantic Oscillation, the Pacific Decadal Oscillation, maxima and minima in global temperature anomalies, drought in Africa and the USA, and European floods are probably linked to cycles in solar activity. Having already made a number of accurate forecasts, he predicts that a trend towards global cooling should develop in the next five to six decades – despite the ongoing buildup of greenhouse gases. We are living in a period of abnormally high solar activity; the latter half of the 20th century saw the highest sunspot numbers in the past 1150 years. High solar activity tends to last 50-100 years, followed by a crash. The sun’s activity will be weaker during the next decade than for over 100 years, and some calculations suggest that this could lead to a cooling of the earth’s atmosphere by 0.2°C (Stuart, 2006) – greater than the reduction expected from Kyoto by the end of the century. A serious menace is posed by the large band of ‘climate modellers’ armed with supercomputers and wedded to the anthropogenic global warming ideology and agenda. They are largely responsible for the widespread belief that humans are disrupting the climate in ways already visible and about to spiral out of control. Although the IPCC (2001) admits that, since the climate is a coupled nonlinear system, ‘the prediction of a specific future climate is not possible’, the Summary for Policymakers tends to play down uncertainty and presents alarmist scenarios for which there is no real evidence. Climate models (known as general circulation models or GCMs) inevitably fail to do justice to the immense complexity of the climate system. They reflect our incomplete understanding of how the various atmospheric, land surface, and oceanic components interact. Even their own creators admit that they are no more than ‘an attempt at computer-aided story-telling’. The models embody the basic assumption that CO2 is the principal climate driver and that variations in solar input are of subordinate or negligible impact. Due to the models’ coarse spatial resolution, important climate processes such as clouds or ocean circulations can only be roughly approximated (‘parameterized’). The models cannot accurately reproduce the motions of the atmosphere and oceans, and do a poor job of simulating the natural variability of the climate. Key factors that are still poorly handled include volcanic eruptions, stratospheric ozone variations, sulfate aerosol changes, water vapour feedback, and the impact of solar particles and radiation. Climate models are unable to project or back-cast cyclical climatic behaviour, such as the El Niño – Southern Oscillation (ENSO), which is the warm phase of a natural ocean cycle and repeats every 2 to 8 years in the tropical Pacific, the 60-to-80-year North Atlantic Oscillation (NAO), and the Pacific Decadal Oscillation (PDO). Since CO2-based models produce smooth temperature increases, not sudden jumps, they could neither predict nor explain the 1976 Great Pacific Climate Shift (a sudden warming, marking a phase shift in the PDO), or the temperature peak in 1998, when an unusually strong El Niño led to an increase in water vapour at the equator, causing an almost 1°C spike in worldwide average temperatures. Nor did the models predict the slight cooling that followed. Commonly used climate models have higher rates of heat transfer to the deep ocean than observed, and tend to over-predict the warming of the surface layer by a factor of up to three. Moreover, the heat content of the upper ocean decreased between 2003 and 2005 by an amount equal to about 21% of the upper-ocean heat gain between 1955 and 2003 (Lyman et al., 2006). This underlines the interannual variability in upper-ocean heat content – something which current climate models are unable to simulate. As Roger Pielke says, this indicates that ‘we know less about natural- and human-climate forcings and feedbacks than included in the IPCC Reports’. The present models have errors on the order of 50%. They are unable to calculate correctly either the present average temperature or the temperature ranges from the equator to the poles, and have to be ‘tuned’ to replicate the current climate. But a ‘tuned’ model may provide an adequate simulation of present-day climate for the wrong reasons. Computer-model predictions have consistently been wrong. In 1988, IPCC models predicted temperatures would rise 0.8°C per decade. By 1990, the estimates were down to 0.3° and by 1995 it was 0.2°. The UK Hadley Centre’s models, too, predicted a temperature increase for the 20th century that was far too high. To solve the problem, it simply divided the model output by three to ‘predict’ the temperature correctly! It appears to have become something of a game to see who can add in the most creative feedback mechanisms to produce the scariest warming scenarios from their models but there remains no evidence the planet includes any such effects or behaves in a similar manner. ... [W]e can only measure what the world actually does, and there simply isn’t room in the measured change for the existence of significant unmitigated positive feedbacks. 1998 was the warmest year in the instrumental record (which goes back 150 years), but it was also the year of a particularly strong El Niño event. Since then, global temperature has remained fairly stable. 2005 was the second warmest year in the instrumental record but is in full accordance with the warming trend of 0.17°C per decade during the past 30 years. If this trend were to continue, the 21st century would experience an average increase in surface temperature of about 1.7°C. By making a lot of unwarranted assumptions, however, the IPCC claims in its 2001 report that the temperature could increase by up to 5.8°C. And the inimitable Nicholas Stern has recently suggested that the temperature could rise by up to 10°C. It should be borne in mind that the 20th century did not see a constant, steady increase in temperature, and there is no reason to assume that the present century will be any different. The late 20th-century temperature rise could represent a culmination, and perhaps even the last culmination, along a warming trend that started 150 years ago at end of the Little Ice Age. There are, in fact, empirical computer models which forecast that early 21st century temperatures will fall (New Zealand Climate Science Coalition, 2006b). As already explained, there is no proof as yet that increasing CO2 concentrations have played a significant role in the rise in temperature over the past century, let alone that they are the main factor. Global warming alarmists, however, denounce anyone who makes such a statement as a ‘denialist’ or ‘flat-earther’, and repeat the mantra that there is ‘overwhelming evidence’ that anthropogenic CO2 is the main cause of climate change. They also like to give the impression that a warming climate will bring only more calamities and suffering, but no benefits (e.g. warmer winters, wetter deserts, faster-growing plants). In his book and accompanying documentary, An Inconvenient Truth (2006), global warming evangelist Al Gore accuses scientists who disagree with the ‘consensus’ of spreading disinformation. But as Marco Lewis (2006) and Iain Murray (2006) have documented in detail, Gore indulges in countless distortions of his own. A few examples are presented below. As far as Gore is concerned, scientists who question the anthropogenic global warming dogma are just as untrustworthy as scientists funded by the tobacco industry. But as John Rudesill (2006b, p. 22) cautions, ‘alarmist appeals delivered by politicians in the guise of universal consensus science – with no fair acknowledgement of contrary views – are likely to be more about money and power than about objective science’. Gore makes the false claim that the rate of global warming is accelerating. He calls CO2 the ‘most important greenhouse gas’, ignoring the fact that water vapour is the leading contributor to the greenhouse effect. He presents a graph of CO2 levels and global temperatures during the past 650,000 years, but fails to mention that it shows that global temperatures were several degrees warmer than the present during each of the past four interglacial periods, even though CO2 levels were lower. He implies that throughout this period, changes in CO2 levels preceded and largely caused changes in global temperature, whereas CO2 changes generally followed global temperature changes by hundreds to thousands of years (Lewis, p. 2, 25). Gore claims that CO2 concentrations in the Holocene (the period since the last ice age) never rose above 300 ppm in pre-industrial times, and that the current level (380 ppm) is far above the range of natural variability. However, proxy data indicate that, in the early Holocene, CO2 levels exceeded 330 ppm for centuries and reached 348 ppm (Lewis, p. 26). Gore assumes that rising CO2 levels are responsible for recent rising temperatures and declining sea ice in the Arctic, whereas both are within the range of natural variability. He fails to mention that arctic temperatures in the 1930s equalled or exceeded those of the late 20th century, that the rate of warming during the earlier decade was 50% higher, and that the Arctic during the early- to mid-Holocene was significantly warmer than today (Murray 2006). He warns that meltwater from Greenland could disrupt the Atlantic thermohaline circulation (the ocean ‘conveyor belt’ that, along with the Gulf Stream, keeps Europe relatively warm in wintertime). This is based on research indicating that a major disruption occurred 8200 years ago when a giant ice dam burst in North America, allowing two lakes to drain rapidly into the sea. He forgets to mention that the lakes injected more than 100,000 cubic kilometres of freshwater into the sea, whereas Greenland ice melt contributes just a few hundred cubic kilometres a year (Lewis, p. 102-3). Gore claims that global warming endangers polar bears even though polar bear populations are increasing in Arctic areas where it is warming and declining in Arctic areas where it is cooling. He states that polar bears ‘have been drowning in significant numbers’ – based on a report that four drowned polar bears were found in one month in one year, following an abrupt storm! Gore portrays the collapse in 2002 of the Larson-B iceshelf – a formation the ‘size of Rhode Island’ – as a harbinger of doom. For comparison, the Larson-B was 1/180th the size of Texas and 1/246th the size of the West Antarctic Ice Sheet. Small areas of the Antarctic Peninsula, where the iceshelf was situated, also broke up in earlier times. But according to a forthcoming report from the IPCC, climate models based on anthropogenic forcing cannot explain the anomalous warming of the Antarctic Peninsula (Murray 2006). The recent temperature increase in this part of Antarctica may be due to a small change in the position of low pressure systems. Although Gore gives the impression that all of Antarctica is losing ice mass, from 1992 to 2003 the East Antarctic Ice Sheet gained mass (from snow accumulation) faster than the western ice sheet lost mass, yielding a net increase in Antarctic ice (David et al., 2005). Gore manages to blame anthropogenic global warming for each and every negative climate event. An example is the European heat wave of 2003 – but this is generally attributed to an atmospheric pressure anomaly, not global warming. Gore exaggerates the link between global warming and the frequency and severity of tropical storms. Even the IPCC admits that storm intensity and frequency are dominated by interdecadal and multidecadal variations, and that no significant trends are evident over the 20th century. 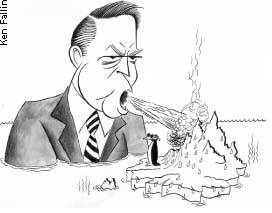 Gore automatically assumes that retreating glaciers are evidence of anthropogenic global warming. But things are not so simple: many glaciers have been retreating since the Little Ice Age, long before any increase in man-made greenhouse gases, while others have been static or are advancing. Despite the warming, the world’s two major icecaps appear to be stable, and there is no compelling evidence that modern glacial changes fall outside natural climate variability. Gore cites the shrinking snows of Kilimanjaro as an illustration of the havoc wrought by global warming. But Kilimanjaro’s glacier began to recede around 1880, well before the modern era of greenhouse warming. Moreover, the Kilimanjaro glacier has retreated in periods of both global warming and cooling – and even in a period of regional cooling. The strong recession of all glaciers in equatorial East Africa in modern times seems to be caused mainly by reduced precipitation and increased shortwave radiation due to decreases in cloudiness (Lewis, p. 7). The number of floods has been increasing, but so have the reporting and recording of floods. For Gore, flood damage data are clear evidence of a global-warming ravaged planet. For instance, he blames global warming for severe floods in China’s Sichuan and Shandong provinces in 2003, even though far more damaging floods struck those areas in the 19th and early 20th centuries. Gore blames global warming for the disappearance of Lake Chad, a disaster more likely stemming from a combination of regional climate variability, population increase, and overgrazing. He claims global warming is drying out soils all over the world, whereas evaporation studies indicate that the earth’s surface is generally becoming wetter. He warns that global warming is destroying coral reefs, even though today’s main reef builders evolved and thrived during the Mesozoic, when temperatures and CO2 levels were far higher than today (Lewis, p. 102-3). Gore blames global warming for the resurgence of malaria in Kenya, even though several studies found no climate link and attribute the problem to decreased spraying of homes with DDT, anti-malarial drug resistance, and incompetent public health programmes. In The Lancet (June 2004) nine leading malariologists criticized models linking global warming to increased malaria as ‘misleading’ and displaying a ‘lack of knowledge’ (Murray, 2006). Gore insinuates that global warming is a factor in the emergence of some 30 ‘new’ diseases over the last three decades, but cites no supporting research or evidence. Sea level has risen by over 120 metres since the end of the last ice age. During the last century it rose by about 18 cm and showed no sign of accelerating. If present trends continue, it will rise by about 31 cm (about one foot) by 2100 (Lewis, p. 72). The IPCC (2001) projects a sea level rise of 9 to 88 cm for 1990-2100, mainly due to thermal expansion and loss of mass from glaciers and ice caps. However, in its forthcoming 2007 report it reduces the expected rise to between 14 and 43 cm. Gore cites the Polynesian island of Tuvalu as a place where rising sea levels are forcing residents to flee their homes. In reality, sea levels at Tuvalu fell during the latter half of the 20th century and even during the 1990s, allegedly the warmest decade of the millennium (Lewis, p. 105). Alarmists also like to claim that the Maldives in the Indian Ocean are about to disappear beneath the ocean waves. But a study in 2004 found that the sea level there had been falling for the last 30 years (Van der Lingen, 2005). Further warming could in fact slow down rather than accelerate the ongoing rise in sea levels: ‘Modest warming of the Earth would increase evaporation from the oceans, leading to increased deposition of snow on the polar ice caps, principally in the Antarctic. ... During the strong warming episode of 1920-1940, sea-level rise did not accelerate but actually stopped’ (De Freitas, 2003, p. 9). Gore claimed in an interview that ‘the debate in the scientific community is over’. But when confronted with the fact that the best estimates of rising sea levels are far less dire than he suggests in his movie, he asserted that scientists ‘don’t have any models that give them a high level of confidence’, and tried to defend his idiotic claims by saying that scientists ‘just don’t know’ (Lindzen, 2006). The experimentally-grounded aether-science model known as aetherometry, developed by Paulo and Alexandra Correa, has identified fundamental deficiencies not only in mainstream physics, chemistry, and biology, but also in meteorology and climatology. What official science lacks above all is any understanding of the world of the aether, which interpenetrates and largely generates and sustains our physical world of matter. One of aetherometry’s key insights is that the sun does not emit electromagnetic radiation that then travels through space and is absorbed or reflected in the earth’s atmosphere or by its surface. What the sun emits is aetheric (‘massfree’) electric radiation. Aetherometry sees this electric radiation, whose spectrum it has identified, as one of the two primary components of the aether. It is ambipolar (whereas massbound charges such as electrons and protons are monopolar), propagates as longitudinal waves (whereas electromagnetic radiation consists of transverse waves), and is not limited to the speed of light. Photons are considered to be transient, locally-produced vortices of aether; ionizing photons result from the decay of elements of matter, whereas nonionizing (blackbody) photons are generated when matter particles decelerate and shed the kinetic energy gained from interaction with aetheric electric radiation. The local production of photons has been established experimentally and is confirmed by some of the Correas’ aether-energy technologies. The Correas argue that the myth of anthropogenic global warming is based on a lack of understanding of natural decadal, supradecadal, and intradecadal oscillations (not ‘trends’) in the temperature and chemical composition of the atmosphere. One of the great myths of media geoscience is that stratospheric ozone protects the earth from harmful ultraviolet radiation from the sun. The Correas say that ‘enthalpy balance and a painstaking analysis of energy and radiation shows that, in fact, ozone does not absorb harmful UV’. Rather, it emits near-UV upon its formation from oxygen. Once formed, it can absorb near-UV radiation, but this radiation is emitted locally from free electrons, and does not come from the sun. To say that stratospheric ozone over Antarctica has decreased over a given period is not proof of anything, as it could be due to reactions with pollutants or to variations in solar ambipolar radiation. As the Correas say, ‘the atmosphere is far too complex a system, and too dependent on the oceans, on geothermal energy and solar radiation, to be arbitrarily reduced to processes driven by single causes, such as the emission of carbon dioxide, or even the production of �greenhouse gases� ’. The main effect of man-made pollution, they say, is not global warming but a complex alteration of atmospheric chemistry and energy conversion processes, little of which is being investigated. As a result, the role of CO2 in warming the atmosphere has been overestimated. A more accurate understanding of the climate system will therefore require new science. But there is also a need for new technologies. If the use of oil, coal, and gas for producing energy is reduced, other energy sources will have to be found. There is considerable controversy on the extent to which nuclear power and/or renewable energy sources (e.g. wind power and solar power) could or should contribute to meeting world energy needs. Yet there is an infinite source of completely clean energy available – the aether. Since the second half of the 19th century, several researchers have developed ‘free-energy’ devices of one type or another, which tap energy from the aether (Tutt, 2001; Mallove, 2001). Key pioneers in this field include Nikola Tesla and Wilhelm Reich, whose work has been taken further in recent decades by the Correas. Intriguing results have also been obtained by, among others, Peter and Neal Graneau (extraction of energy from water arc explosions), Randell Mills (extraction of energy from collapsed hydrogen, or ‘hydrinos’), and various researchers in the field of low-energy nuclear reactions, or ‘cold fusion’. The Correas have developed three power generation technologies: the patented Pulsed Abnormal Glow Discharge (PAGD) electricity-generating reactors; the HYBORAC solar and atmospheric energy converter, which taps the latent heat of metal enclosures (orgone accumulators, or ORACs); and the patented aether motor (an improvement of Reich’s orgone motor), which extracts massfree energy from ORACs, living beings, the ground, vacuums, and atmospheric antennas (Correa & Correa, 2006). Whether any investors are far-sighted enough to back the development and commercialization of these revolutionary technologies remains to be seen. David, C.H., et al., 2005. Snowfall-driven growth in East Antarctic ice sheet mitigates recent sea-level rise. Science, v. 308, p. 1898-1901. Turner, J., et al., 2006. Significant warming of the Antarctic winter troposphere. Science, v. 311, p. 1914-17.